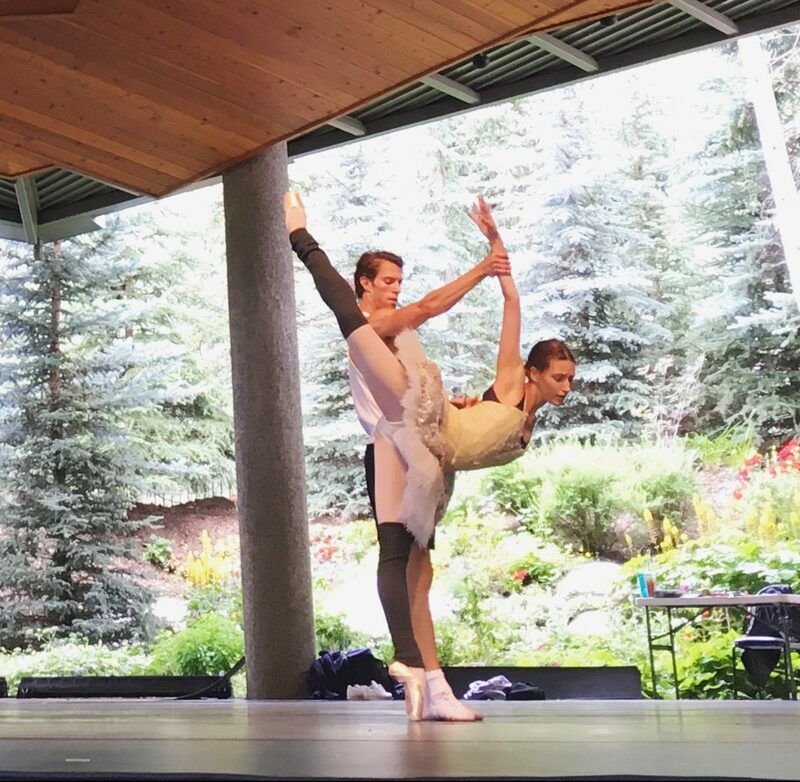 Ballerina Kirsten Evans caught up with American Ballet Theatre (ABT) principal, James Whiteside, between rehearsals at the Vail Dance Festival. James filled Kirsten in on his longtime love of ABT, his tap background, and his upcoming travels to Tokyo. J: It was foreign and familiar all at once. The ballet world is very small, so I knew a lot of the dancers from this, that, and the other- from guest performances, from summer programs, and stuff. But the rep at ABT is completely different from the rep at Boston. We did a lot of Balanchine, a lot of neoclassical work, a lot of contemporary work [at Boston Ballet]. ABT does big classics; Swan Lake, Sleeping Beauty, Giselle, etc. So I had to learn all of ABT’s rep in an extremely short time, and I did an obscene amount of debuts that first year. Then I was promoted to Principal in the Fall. J: Yeah, they make you work! Damn! It’s really, really ambitious. Incredibly ambitious. In a way, it feels like our New York season: putting together a large amount of things in a short amount of time. It’s crazy, this festival has gained so much visibility in the dance world. It’s become ‘the’ dance festival. I’ll be dancing in the new Michelle Dorrance ballet – I keep calling it a ballet, but it’s a dance. [Laughs] I don’t know what it’s called, but it is epic, and ambitious and daring and I just can’t believe we’re doing it tonight. I’m a little stressed out. J: My summer has been completely booked with festivals and galas. It’s been exceptionally fun. It’s been like a tour – I feel like I’m on a rock concert tour. I’ve been a lot of places, I’m going a lot of places. J: I’ve been to Toyko before. It’s just so strange and wonderful. Just so different. And then I have my Fall season with American Ballet Theatre. I have some personal projects in the works, which if you follow me on my various socials, you’ll learn about. *Note: I watched James’ You Rascal You video and – oh my goodness- go watch it right now! Please!